If you don’t send parcels regularly, needing to send one might seem like a bit of a head-scratch. Where do you even start? Especially if you’re sending it halfway across the world; the whole thing can really seem like a rather complicated process. Don’t panic. At NI Parcels, we happen to be rather experienced in shipping parcels (the hint is in the name). As such, we’re here to share our expert advice about sending a parcel via a courier service. 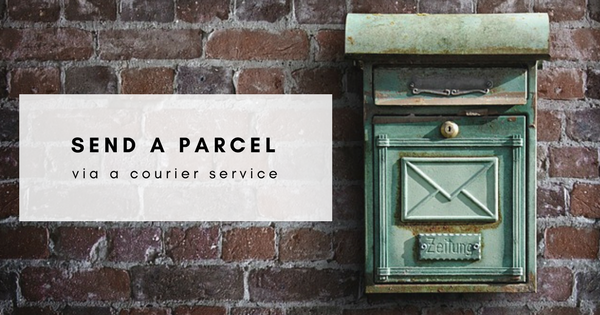 We will take you through every step so that you know exactly what you have to do to send a parcel anywhere in the world! Step 1: Package it up! First thing’s first; you’re going to need to package up whatever it is you’re planning to send. No reputable courier service will take items without packaging – it poses too great of a risk to not only your item, but to every other item being transported. When we send a parcel with a courier, we all like to imagine that our item is very carefully carried by one person from A-B. The truth is that your item will be transported through a courier network; it will first be sorted by a machine and then placed into a van with tens (or even hundreds) of other heavy and large parcels and driven to its destination. Of course, if you’re sending your parcel with a reputable courier (like our providers) any damage to your item in transit is very unlikely. However, it can happen on very rare occasions and for that reason, you’ll want to ensure you’ve done everything humanly possible to protect your item. The way you package your item will, of course, depend on the item itself. 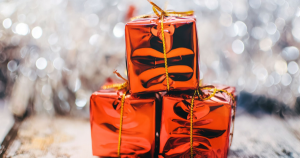 For example, if you’re planning to send documents, paintings, or bigger items such as electricals; you will need to package all of these in different ways. That said, a general rule of thumb is to make sure your item is packaged properly and as securely as possible. Use sturdy materials; a double-walled cardboard box is less likely to collapse or tear. You might also want to add some internal packaging, such as bubble wrap or packing peanuts to give your items some extra cushioning. You’re also going to want to have a read over your courier service’s prohibited and non-compensation items list to ensure what you are sending can be carried and whether it can be covered in the rare event of loss or damage. Step 2: Measure your parcel! 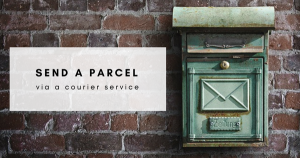 Many, if not all, courier services will require you to provide the details of your parcel, such as the weight and dimensions, at the point of booking. These details are required as it is how the price of your shipment is actually determined. You’re going to want to ensure that these details are as accurate as possible, as you don’t want to end up paying more for the shipment that what you actually need to. Similarly, you don’t want to pay too little, then receive a hefty oversized charge later down the line. It will also help to prevent any delays or complications. Step 3: Book your shipment! Now that you have your parcel ready, it’s time to book your shipment. You can either go directly to a courier company to avail of their courier services, or you can save yourself a pretty penny by booking through a third party such as NI Parcels. When you book with NI Parcels instead of going directly to the courier company, you can save yourself up to 80% on the cost of your courier service. That’s because we’ve negotiated fantastic low rates with our network of reputable couriers; which means you still receive the same high-quality service, but for a fraction of the price. 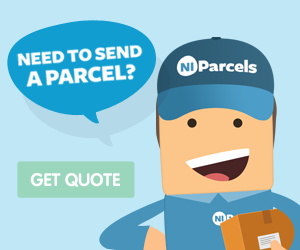 What’s more, booking with NI Parcels is easy peasy. There’s no complicated sign up process, all you need to get started is a valid email address. Our online booking system is straightforward and only takes a few short moments to complete. Step 4: Print and attach your shipping labels! When you book a courier service, you’ll be sent some shipping labels that you’ll need to print and attach to your item. At NI Parcels, we email these labels through to you. 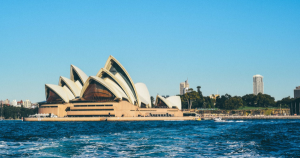 Bear in mind that if you are sending parcels internationally, such as to the USA, Australia or otherwise, there may be additional forms that you’ll need to fill out to send with your item. That’s because, with international shipping, you are technically exporting goods, which means it can be a more complex process and requires careful thought and, most importantly of all, some research on your part. When you’re sending a parcel outside of the EU, you’ll need to fill out a customs invoice. This is a document that travels with your parcel and contains information about the items inside your parcel. The invoice is required for customs clearance – to put it bluntly, your shipment cannot and will not leave the country without one. When you book an international shipment with NI Parcels, we provide these customs documents to you, along with some advice on how to fill them out. However, again, it is entirely your responsibility to do some research on this and to fill out these forms correctly as no courier is directly associated with customs. Step 5: Sit back and relax! That’s it – the courier takes care of everything from here! You can simply sit back and relax whilst your shipment is collected and delivered to its destination. When you book a handy courier service with NI Parcels, there’s no need to leave your items off at a drop-off point, and no need to venture out to collect them when they arrive. We offer a fully door-to-door service for your convenience. As well, we provide full online parcel tracking so that you can monitor the progress of your shipment every single step of the way. You’ll be notified when your shipment is out for delivery, so you’ll know exactly when to expect it. If you happen to have any questions or concerns along the way, NI Parcels dedicated customer support team will be happy to help with any query you might have. This entry was posted in Parcel Shipping. Bookmark the permalink.